2018 has been a significant year for Elara Comunicaciones’ growth. Elara’s Mexico City facility has become the 21st teleport to be fully certified by WTA and the first teleport in Latin America to gain full certification. 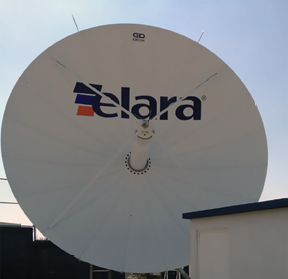 As one of the big players integrating telco turnkey solutions through satellite, Elara Comunicaciones has cemented into place a privileged seat in the twists and turns occurring recently in the satellite service chain. It’s important to understand the circumstances that the industry is being subjected to across the globe to focus on Elara’s milestones. On one hand, satellite operators are experiencing a mayor ARPU (Average Revenue Per Unit) decrease due to the accelerated growth of HTS capacity. For Mexico, ARPU had increased about 2000 percent over the last four years — last year’s launches are offering 10 times the previously existing throughput for NAM. Combining this with technological developments that allow satellites to be launched together on recoverable and reusable rockets (which lowers the cost of the investment), the result is virtual oversupply. These symptoms are responsible for strategic adaptations from satellite operators, actors who are aggressively moving up the satellite value chain, horizontally and vertically. The end of 2018 is marked with a broader presence of satellite capacity, pushed by the opening of frontiers and a changing political climate. This leads Elara to expect an offer contraction wherein the capacity providers would migrate from leasing their assets to an as-a-service model and that move brings important changes to their partnerships. The transformation journey requires a highly adaptive DNA as well as flexible but well defined procedures and a strong customer service culture. All of the above are met by companies such as Elara, which are in constant pursuit of development and innovative solutions to add value to customers and business associates. As a consequence, telco integrators must diversify their revenue sources by complementing current services with initiatives that take advantage of their operational capacity and structure, as well as leveraging their market position and vendor partnerships. However, most business development initiatives are facing a rough, go-to-market process, due to immature demand of such services. Therefore, the efficient assignment of organic and financial resources is key in order to achieve a healthy, cost-benefit ratio. A better understanding of that ratio would allow the players in the satellite industry to monetize their business efforts outside their core. This would also minimize the risks and pain of leaving a well-known comfort zone reached by their wide experience as critical link providers and ISPs. 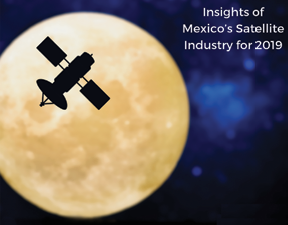 Elara has been working in the satellite industry in Mexico for more than 14 years and has become a pioneer in Latin America through the usage and implementation of innovative technologies, such as Service Over HTS satellites, quota based remote access and FAP, among others. Recently, the industry in Mexico has been quickly evolving and adapting itself to the continuous, changing needs of customers. This has been reflected in ongoing price reductions and a far more competitive market strategy. There are various influences that continue to affect the market’s behavior. For instance, the introduction of Ka-band and HTS to provide higher throughput and lower costs has been of major consequence. Also, the challenges to enter the market as a network operator and integrator have been significantly reduced; selling prices are sliding lower and that has pushed satellite operators to rethink their go-to market strategy and has resulted in them attempting to reach down the supply chain to the end user. Business models and types of solutions have changed, as well. For example, services provided on HTS and Ka-band have lower availability, higher throughput and lower costs; however, as a business model, this these services come with a new consideration to take into account for the communication services market — the Fair Access Policy (FAP). FAP is used to measure and restrict the amount of information that is transferred through the satellite link. This information is no longer only restricted by the transfer ratio or throughput, but also by the FAP determined by the service provider — or even by the satellite operator. Technology is one of fastest evolving industries in the history of mankind. During the last 20 years, this pace has significantly accelerated. This technological evolution has a direct impact on the needs and requirements of people, companies and entire industries. This is also why communication services have become commoditized — the availability of immediate information is a “must have” consumer demand that encompasses every genre of productive activity. Elara’s increasing coverage and availability, through the use of various satellites, and innovative services in order to guarantee competitive prices and adequate solutions for each client, has allowed the company to be part of the technological evolution in the world of telecommunications — Elara is well prepared for the changes bound to arrive during 2019. Gonzalo Flores has a Bachelor of electrical, electronic and communications engineering from Universidad Autonoma Metropolitana. He has extensive experience in the telecommunications industry, having worked in the world’s third largest satellite operator in terms of revenues. Currently, he serves as Elara’s business development coordinator, among his duties are to continuously generate new clients or new sales leads and to maintain good relationships with existing clients. Michel San German has a Bachelor of Science Industrial Engineering and an MBA from Universidad Iberoamericana. He has served as Elara’s Head of the Project Management Team and then created and managed the After-sales and Sales Support department, as well as Market and Business Intelligence operations which evolved into the Planning and Control Department in support of the company’s business strategy. Michel monitors the efficiency of Elara’s commercial strategies and evaluates the best course of action, according to the market’s needs. At the start of 2018, there was an air of uncertainty surrounding the satellite industry... many were worried that huge change was on the horizon due to the ongoing pressure from competing connections. From talk of ‘the death of satellite’ to concerns surrounding a congested space, there is actually a lot more positivity to be derived from this year and much to look forward to in 2019 as satellite reinvents itself. First, I think it’s important to quash the rumors that satellite has lost its relevance. 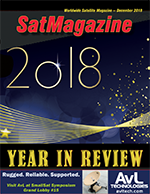 Many had predicted the demise of satellite, but this year we have seen satellite retain its importance. In truth, although fiber, OTT (Over-The-Top) and other internet-based distribution methods have caused the satellite industry to lose some of its market share, satellite remains highly important for video. Growing demand for 4K content will further play into the hands of the satellite industry as other connections continue to struggle to provide 4K reliably (thanks to the rather sluggish roll out of super-fast broadband). According to Futuresource Consulting, ultra-high definition (UHD) 4K devices will account for nearly 50 percent of all TVs shipped worldwide by the end of the year, and that number is expected to grow. On top of this, SNG (Satellite News Gathering) trucks are no less important in today’s broadcast ecosystem than they were five years ago. The demand for live sports and news is unlikely to subside, so the mobile nature of SNG trucks and their fast setup times will ensure they remain highly relevant to the broadcast industry. Whether used for uplink traffic from a network of live cameras, or in larger trucks for local fiber inputs, satellite is the fastest and most affordable way to distribute signals. Looking ahead, what we do need to do is ensure is that satellite remains attractive in the face of pressure from internet-based streaming. In short, this means ensuring viewers at home get a high-quality feed that is resilient to outages on a 24/7 basis. After all, when a consumer experiences a poor-quality broadcast, it not only encourages that consumer to move away from satellite services, it can also cast doubt over satellite broadcasting as a whole. In this highly competitive environment, having redundancy measures in place becomes increasingly important. Those operators that do invest in the correct equipment can minimize errors as well as lower the expenditure of resources, keeping the cost of services low and reliability high. At NAB Las Vegas in April, we demoed several of solutions that ensure reliable, satellite broadcasts. This included the firm’s Griffin Redundancy Switch, a solution used to provide redundancy for downlink and uplink RF or ASI feeds and enabling switching to a standby path in the case of an error. Not only can this be triggered automatically upon detection of signal loss, but also manually from the front panel upon RF level detection or alarm contacts, or by a Network Monitoring Solution, which can trigger switching when required. One of the most prominent trends this year has been the growth of High-Throughput Satellites (HTS). HTS has really grown exponentially over recent months, opening up a wealth of opportunities within the SATCOM industry. At present, much of this growth is focused mainly on supplying the data services market, in other words, services that require constant connectivity. HTS is also helping ETL Systems to connect otherwise isolated, rural communities, thanks to low-cost and relative ease of deployment. Excitingly, HTS could be an enabler of new technologies, such as the Internet of Things (IoT) and connected cars. For the wider industry, HTS increases demand for satellite connectivity in general, and that is a boon that should excite all involved in this industry. At the same time, to maximize the potential of HTS, it’s important to have the correct tools in place. HTS is spot beam driven, which means VSATs are commonly used. It is widely reported that VSATs are a prominent cause of errors in SATCOM, mainly as a result of poor equipment and incorrect installation. This can be solved by proper type approval processes and by ensuring users only buy from manufacturers that rigorously test their equipment. However, another common cause of errors in VSATs is the sensitivity to weather conditions. This can be a significant problem when terminals are in remote or unmanned sites and can prove costly if engineers need to be sent onsite to resolve them. One solution is to house equipment in weatherproof chassis — another protective measure is to always ensure there is a backup site in case operations are severely affected. In this manner, operations can continue even while the issue at the site is being resolved. Ideally, a diverse range of sites in separate locations should be used — in some locations, weather is so localized that 40 kilometres may be enough of a separation between sites. In most scenarios, that’s more likely talking between 70 to 100 kilometres to offset different weather patterns. A fiber connection is then run from the satellite dish to the control center via Dense Wavelength Division Multiplexing (DWDM). Rain fade is combated, meaning signal loss is minimal and the end-user receives a good quality feed. At IBC 2018, we launched the new StingRay DWDM solution that enables high-quality distribution between a satellite antenna and a remote control room. It is capable of transmitting multiple signals over distances of 50 to 500 km through a dedicated fiber cable. We also added pre-amp and post-amp Erbium Doped Fiber Amplifiers (EDFA)to reduce the potential for signal loss over these distances. While it is more important than ever that satellite remains cost-effective, adding extra redundancies such as the Stingray DWDM bolsters the all-important reliability of a service. As the industry faces an uncertain future, these factors will be even more essential. This year there has been a great deal of talk of the impending Low Earth Orbit (LEO) launches and mega constellations. There have been a few such launches during 201;8 however, there haven’t been as many as expected and I am doubtful whether we will see as many as promised over the coming years. A maximum of one to three LEO constellations will probably be more likely by the mid 2020s. Although the launch of LEO smallsats will definitely mean faster and better connectivity, I see a more gradual introduction as a positive thing, for that will allow us to evaluate the effect of LEO constellations on the wider industry and will give us the time necessary to alter business models when needed. We will still need to manage LEO effectively to avoid causing problems. Part of this will involve having measures in place to closely monitor LEO operations so all are aware of where and when problems arise. Also, if we want to make sure we lessen the chances of interference from LEO, one action operators and manufacturers can undertake now is to invest in reliable, quality equipment. We already know this is a major cause of errors in SATCOM, particularly for VSATs — this is easily solvable today with effective training and planning. What is clear from 2018 is that innovation is still very much alive in the satellite sector, whether it is long distance fiber links or fast redundancy switching. I am certain that whatever challenges the industry faces over the coming decade, innovative solutions will overcome these challenges. To that end, ETL Systems will continue to bring to market solutions that will maintain the reliability of satellite for the foreseeable future — and beyond. A tiny, Texas-based rocket manufacturer is about to make a huge impact on the aerospace industry. With the goal and company slogan of making “SPACEavailable…,” Exos Aerospace has developed some of the world’s most commercially-viable, reusable rockets to drive down space access costs and reduce lengthy launch wait times. With a military background as a submariner in the U.S. Navy, Quinn has been involved with engineering most of his adult life. He and his close friend/business mentor, David Mitchell, co-founded Exos Aerospace Systems & Technologies, Inc. in 2015. David worked on funding the operation, while John focused on the day-to-day tasks of developing the technology and the processes to mimic how commercial spacecraft are flown and “reused.” On August 25th, 2018, the Exos team successfully test-launched and recovered their Suborbital Autonomous Rocket w/GuidancE, (SARGE) vehicle from Spaceport America, providing a glimpse into a future of increased space flight opportunity via reusable vehicles. The rocket was “light loaded with propellant,” reached an altitude of 32 km. and was recovered less than 30 minutes later with 99 percent of the vehicle ready for reuse, validating the vehicle’s robust design. The test also demonstrated the capability of the autonomous control system, validated the preflight vehicle integration process and proved accuracy of the models that will be used for fine-tuning the vehicle for a NASA IDIQ qualification flight planned for January 5th, 2019. Once Exos qualifies for NASA’s IDIQ program for suborbital launches, Exos will continue to use SARGE to provide cost effective commercial launch services as the company develops the predictive and prognostic data models required to support development of the firm’s next vehicle, a mobile Low Earth Orbit (LEO) launcher the company calls “Jaguar.” Jaguar is being designed to loft 100 to 200 kg. to a 200 to 400 km. orbit. The successful Exos Aerospace SARGE launch. This reduced-cost, fly-now focus will offer increased availability of space-flight for corporations, medical research firms, schools, and anyone with a few thousand dollars and a desire to send product into the cold vacuum and microgravity of space. The recent Exos test-flight carried payloads from Purdue University, CAST (for the Mayo Clinic), Arete’, Space Kidz India, and a few individuals who just wanted to fly space memorabilia. Pioneering the world of space education, Exos has developed a school assistance program for educators around the world to help their young scientists send real cubesat experiments to space. The “SPACEedu…” program has already gained some footing with major universities, high schools and even some grade schools. Exos is looking for additional sponsors and partners to cubesat research competition part of the national science fair. 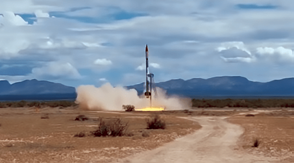 Unlike flying on traditional solid fuel spin stabilized rockets (such as missiles), Exos rockets are stabilized using fins and gimbal capabilities to keep the vehicle from rolling. The gimbal used for controlling and directing SARGE is controlled by Morpheus flight software that was acquired through a Space Act Agreement with NASA. The drogue recovery system brings the rocket back from space and the Wamore GPS guided canopy system flies the rocket back to its launch site within minutes of launch. All this results in a very smooth (~5G) and efficient rocket ride that is friendly to even the most delicate of payloads, giving medical researchers hope for new space tests and data acquisition. Perhaps the only thing not feeling the impact of the Exos rockets is the environment. Compared to the solid rocket boosters of the past, the exhaust from the Lox/Ethanol fuel burn doesn’t leave a smoke trail, but does leave a bit of water vapor. Their Lox/Ethanol technology is one approach that Exos will use to support the industry in an environmentally responsible way. The implications of these reusable rockets will be pivotal in the industry. The SARGE rocket is designed to support up to 200 flights, but Exos plans to use the Lox/Ethanol vehicle as long as it’s “safe” and ultimately desires to sell the liquid-fired rockets to Missile Defense Agency (MDA) as “hard-to-acquire” targets when they near the end of their economically viable life. Meanwhile, plans for Jaguar to provide low-cost, fast turn-around solutions for satellite deployment could place Exos in the forefront of military and commercial space needs. Looking back at Sputnik, the satellite weighed 83 kg. yet, today, its replacement would weigh only a few ounces. Exos intends to leverage what the firm calls the “miniaturization of space” as they initially develop their small-scale launchers to serve the sub-1000 kg. reusable (first stage) launcher market. Exos is in the process of launching their first National Charter Enterprise in the Basilicata Region of Italy. David Mitchell and& John Quinn signed the first Charter LOI with Roberto Cifarelli, Regional Director of the Basilicata Region, Southern Italy, on November 6 ,2018, to bring an Exos presence to Italy. Mario Mauro (former Italy Minister of Defense and member of the European Parliament) aided in the negotiations and directed Exos in its development efforts. While working though the process of bringing Suborbital Capabilities to Italy with the Italian government and PricewaterhouseCoopers, Exos realized the many benefits and resources that are available in the region. In addition to the benefits afforded companies that come to support development in the SEZ (Special Economic Zones), it is also well positioned with Aerospace University pipelines and the broad base of expertise available across the EU. When developing the business plan for Italy, the team said they could not deny the logistically enviable position they found possible if they expanded their plans for Italy to include development of the Exos Mobile Reusable (first stage) LEO Launch Vehicle. Based on this realization, this expansion will include additional facilities to support the added scope of LEO launcher development in Italy. Exos intends to commence construction of their Italy facilities in the second quarter of 2019. With Exos taking their vision abroad, the world will take notice of the tiny rocket company from Greenville, Texas, and for the space industry to realize the monumental shifts that the reusable rocket maker is causing in their realm of space. Exos is excited to discuss establishment of National Charter Enterprises with other NATO countries looking to bring space development to their nations. At 18 years old, John enlisted in the U.S. Navy-serving in the Silent-Service on fast-attack and Trident submarines for a total of 14.5 years (including his reserve duty). In 1992, he started his civilian career as a power plant instrument technician and operator. In 2002, he completed his degree getting a Bachelor of Science in Electrical Engineering with a Controls Specialty. John’s love of business drove him to develop the opportunity he recognized while working on an MST Project (with the brilliant Scientists at Blink Design and Manufacturing) in what we now officially call EXOS Aerospace Systems & Technologies, INC. (E.A.S.T.) In Feb of 2015 John became was promoted to Chief Operating Officer for E.A.S.T., and is driven to help make this company a guaranteed winner in the private commercial space race. 2018 marked 25 years since the founding of Foxcom, one of the pioneers of RF over Fiber technology. Needless to say, the telecom market, which has undergone profound changes during this period, has given birth to new technologies and solutions that were unthinkable back in the early 90’s. 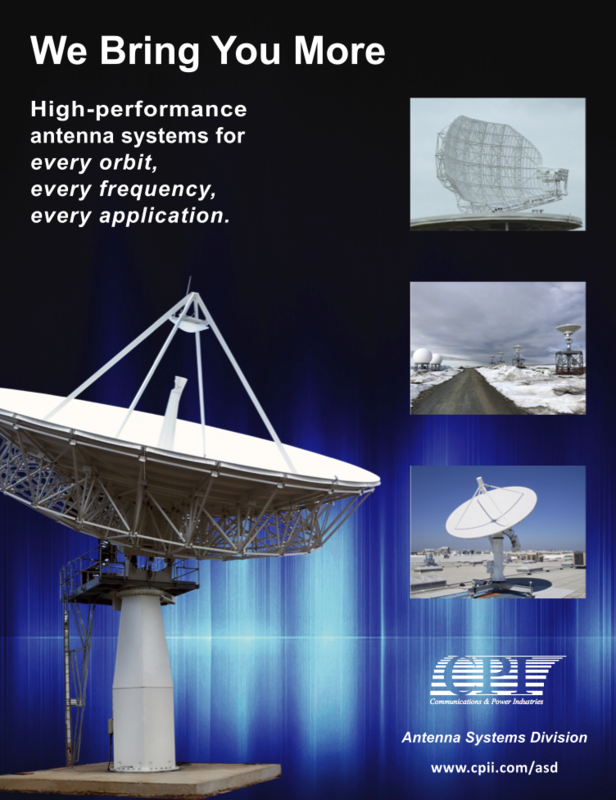 The traditional SATCOM business has been the mainstay of our business over the years, as the need for high performance RF over Fiber solutions has remained firmly in place in the world market. Satellite and teleport operators look to Foxcom as a market leader for innovative, resilient and reliable solutions. As High Throughput Satellite (HTS) technology took root worldwide, more and more operators began deploying Ka-Band Earth stations. This created a need for site diversity to help mitigate the problem of rain fade. Foxcom met the challenge by providing long-distance connectivity over a single fiber using DWDM (Dense Wavelength Division Multiplexing), which reaches distances that were unprecedented in the industry. This was achieved using the company’s advanced Platinum series of links, along with high-power optical amplifiers (EDFA’s), DWDMs and an all-encompassing Simple Network Management Protocol (SNMP)-based Monitoring and Control (M&C) platform. Foxcom has always been a market driven company. The company’s greatest asset lies in the firm’s ability to learn from customers, to leverage that intelligence and to seize opportunities well ahead of the competition. Foxcom’s close relationship with the military has been a great source of inspiration for developing new technologies. No challenge is too great for the company’s R&D team. Thanks to their dedication, creativity and perseverance, Foxcom has rolled out a new range of products that are unique — if not revolutionary — in the industry. 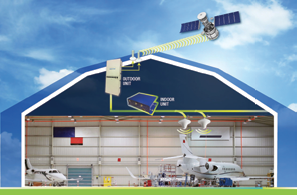 This year marked the release of Foxcom’s new SATCOM and GPS hangar repeater solution, which enables engineers involved in Maintenance, Repair and Overhaul (MRO) of aircraft to undertake testing 24/7, regardless of weather conditions, without having to move aircraft in and out of a hangar, as is the current practice. While Inmarsat and Iridium satellite equipment has been deployed worldwide, its use was limited to the outdoors, as building structures’ block satellite signals. Foxcom’s unique and all-inclusive repeater solution provides communication inside buildings or underground without the need for a direct line of sight to the sky. The dedicated repeater, which now includes GPS, Inmarsat and Iridium, greatly reduces aircraft-on-ground time, man-hours and overall maintenance costs, thereby providing an immediate Return on Investment (ROI). This is our latest solution in the highly successful range of repeaters launched by Foxcom in 2014. Military radios are equipped with encryption and hopping mechanism making their operation mode classified. This means that transmit or relay sites need be manned in order to guard these devices in the battlefield. Close proximity to the antenna makes the soldier an easy target. The Foxcom fiber solution provides a cost-effective alternative to coax cable deployments and allows military personnel to place their antenna far away from the military radio. The equipment consists of two ruggedized units, one for the Radio-side (RSU) and another for the Antenna-side (ASU). The system supports two simultaneous radio channels and is equipped with a programmable microcontroller providing universal adaptive hopping frequency support and a Dust-Proof mechanism for maintaining constant RF performance levels. Foxcom’s innovative FiberGO solution uses a single fiber optic cable, rather than coax, to connect VSAT dishes to the indoor modems over long distances. This solution is sold as a compact and weatherproof kit with compact indoor (IDU) and outdoor units (ODU). The IDU interfaces with the satellite modem, while the ODU connects to the block upconverter (BUC) and LNB at the antenna-site. The solution has generated much interest in the region due to the product’s low cost, ease of installation and performance boost that the product line provides over traditional coaxial infrastructure. It is still not clear to me how HTS will affect the satellite industry as an ecosystem in the long term, and how much it will impact on the traditional satellite business model once it is fully operational. Regardless of the outcome, Foxcom is committed to bringing solutions to new horizontal markets that leverage the company’s 25 years of RF over fiber expertise. This will be an integral part of the firm’s growth strategy for 2019. Our entry into the MRO market with our latest repeater solutions is a perfect example of how we plan to achieve this goal. Being part of the Global Invacom Group has facilitated this growth by leveraging the vast amount resources that the group has to offer, such as their global marketing reach, integrated manufacturing footprint and strong research and development capabilities. With seven manufacturing plants across China, Israel, Malaysia, the United Kingdom and the USA, I am more confident than ever that Foxcom will continue to position itself as the leading provider of RF over Fiber solutions to the satellite, military and aerospace industries.